SAPPORO - An earthquake with an estimated magnitude of 5.2 jolted Hokkaido on Friday morning, the biggest since a deadly temblor that rocked Japan's northernmost main island about a month ago, the Japan Meteorological Agency said. The 8:58 a.m. quake, which occurred in a southern part of the island at a depth of around 30 kilometers, registered lower 5 on the Japanese seismic intensity scale of 7 in the towns of Atsuma and Mukawa, the agency said. No one was injured in Atsuma and Mukawa, though a woman in her 30s sustained an injury in Sapporo, which recorded 3 on the intensity scale, after a shelf collapsed at her home, according to a local fire department. No tsunami was seen after the quake. Hokkaido Electric Power Co. said it found no abnormality at its nuclear and coal-fired power plants in the prefecture. Friday's temblor was the biggest since the magnitude 6.7 quake on Sept. 6 that claimed the lives of 41 and caused a prefecture-wide blackout. More than 10,000 buildings were damaged and hundreds of residents were still staying at evacuation centers as of Friday. Yasuko Tsuzuki, a 72-year-old woman in Atsuma, said the quake reminded her of the one in September. "I was gradually finding emotional closure but it broke my heart," she said. "The jolt is believed to be part of seismic activities linked to the earthquake last month. 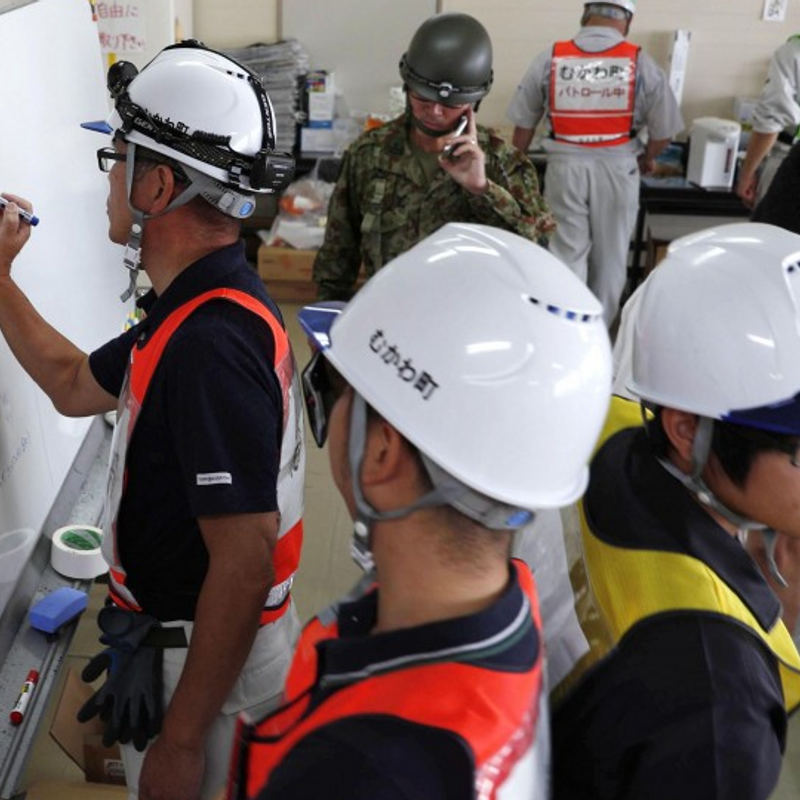 More quakes are expected for a while so I want people to ensure their furniture is securely fixed," said Toshiyuki Matsumori, head of the agency's earthquake and tsunami monitoring division. At a press conference on Friday, the agency called on residents to be prepared for about a week for potential quakes with an intensity of 4 or higher. It also urged residents to brace for heavy rain and mudslides as another typhoon is expected to approach Hokkaido on Sunday. The Ground Self-Defense Force said it has detected no fresh landslides in an aerial survey by helicopter over the town of Atsuma. Although the quake temporarily suspended the operation of a shinkansen bullet train and local trains, New Chitose Airport was unaffected, according to Hokkaido Railway Co. and the transport ministry.